Every Social Network Needs Its Own "TLC"
Creating content on social media takes time and it takes thought. What may work well and be acceptable on one social network can be completely different on another. That’s why the simple – copy and paste method really doesn’t work if you want to do social media marketing effectively. Facebook is the giant when it comes to social media and it for sure has its best practices. For one, messages that are 111 characters long tend to get the most engagement and you will probably get the largest reach if you stay away from hashtags on the network. Lastly, Facebook users like one Emoji in each post so don’t go crazy with a bunch of wacky smiley faces! Compared to Facebook, Instagram users like a little more text in their posts. Anywhere between 207 and 241 characters to be exact. In regards to hashtags you are allowed up to 30 but a good rule of thumb when it comes to achieving engagement is keeping the post to around 11. Instagram users also like three Emojis in the posts they are being served. When it comes to the biggest B2B social network, messages that are 149 characters in length tend to get the most engagement on LinkedIn. And since LinkedIn is more professional it is good to stay away from including Emojis or hashtags in your posts as they usually don’t improve performance. While Twitter expanded the number of characters from 140 to 280 it still doesn’t mean you should write that much. Remember people have quick attention spans and the more you put out, the less likely they are going to actually read the entire Tweet. In fact, Tweets that are 103 characters in length tend to get the most engagement on the popular micro blog. Twitter is also much more user friendly when it comes to hashtags but not as friendly as Instagram is. For maximum engagement keep each Tweet to just two hashtags. One Emoji is also appropriate to include in each Tweet. While there are a bunch of other factors to consider, especially times to post and the sentiment of the post, these are a few best practices to keep in mind when crafting your content messages and calendars. 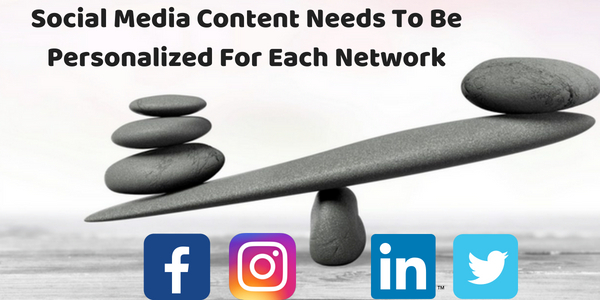 For additional tips and ideas on how to create great content for each specific social network contact The Interactive Imprint at 954-254-1650 or visit TheInteractiveImprint.com.